Sure, housing prices in Vancouver are through the roof, but it might be somewhat comforting to know the city is also home to the lowest property taxes in the country. 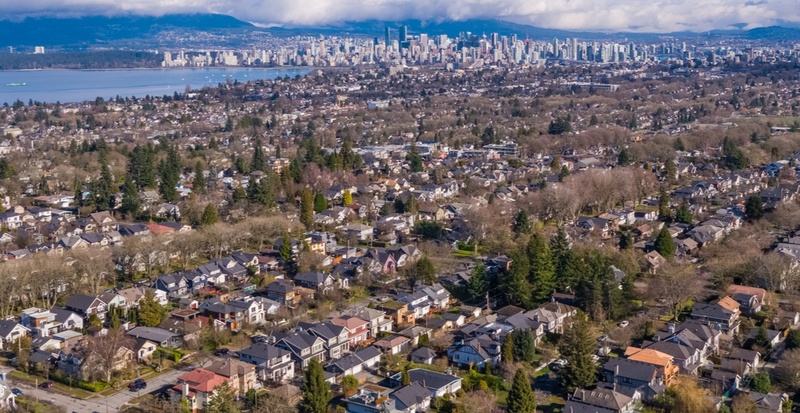 Out of the 25 major Canadian cities studied, Vancouver ranks the best for property taxes with the lowest rate of 0.24683%. In comparison, Toronto’s rate is 2.6 times Vancouver’s at 0.63551% and Calgary’s rate is also about 2.6 times Vancouver’s at 0.63573%. However, the report did note that living in a city with a low property tax rate doesn’t always mean you pay lower taxes if average home prices are higher. For example, the Toronto tax rate is 0.63551%, which translates into $5,532 of property taxes based on the average June 2018 home value of $870,559. In comparison, the Edmonton tax rate is 0.86869% or about 1.4 times that of Toronto’s, but average home values in Edmonton are substantially lower at $381,520, which would result in a lower amount of property taxes overall at $3,314. An assessment of the value of their home, which is typically conducted by a provincial authority (for example, Ontario’s Municipal Property Assessment Corporation (MPAC), BC Assessment (BCA), and the Saskatchewan Assessment Agency (SAA)). A residential rate set by the local tax authority or municipal council. This is established annually based on the municipality’s budget and required expenditures for the year. Of course, you still have to own property first.